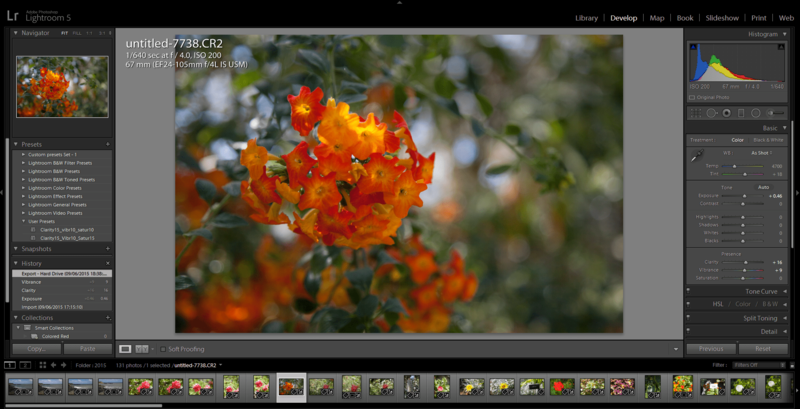 Adobe Lightroom is a very powerful tool for post-processing and managing your images. It saves you a lot of time by offering batch processing and settings synchronization across your image collections. Combining reasonable price with outstanding functionality Adobe Lightroom became one of the most widely used tools among all level photographers. 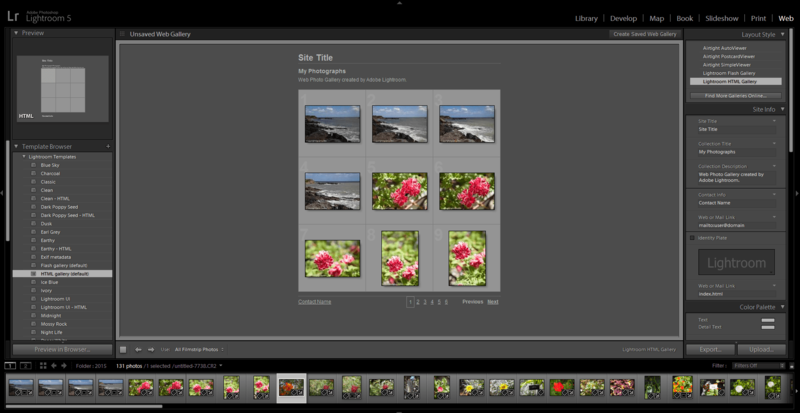 Lightroom 5 offers seven workplace modules – Library, Develop, Map, Book, Slideshow, Print and Web. A module is a section that contains a set of tools that are used for a specific type of tasks. In this article we will take a closer look at Lightroom 5 modules and what each of those is packing. The Library module is one of the two modules you will be using the most. In fact it’s a starting point of your workflow. The Library module is there to help you import, export, organize and manage your photographs. Lightroom stores the information about your collections, files, keywords and other metadata in a file called Catalog. The Library module home screen gives you access to all photos within the current Catalog. On the left hand side you have the navigation panel that allows you to browse your images by source Navigator, Catalog, Folders, Collections and Publish Services. You can show r hide any of Lightroom navigation panels depending on your current workflow needs. In the Library module home screen you can choose one of the four viewing modes: Grid, Loupe, Compare or Survey. Toolbar for each of these modes can be customized independently, which gives a lot of flexibility in your workflow. On the right hand side of the Library module you have a panel group that contains the following tools: Histogram, Quick Develop, Keywording, Keyword List, Metadata, and Comments. These panels are used for a quick development (such as applying saved preset and colour corrections), keywording, assigning metadata or comments. The Develop module is the second module which you will spend a lot of time in. This module is basically the core of Lightroom workflow. 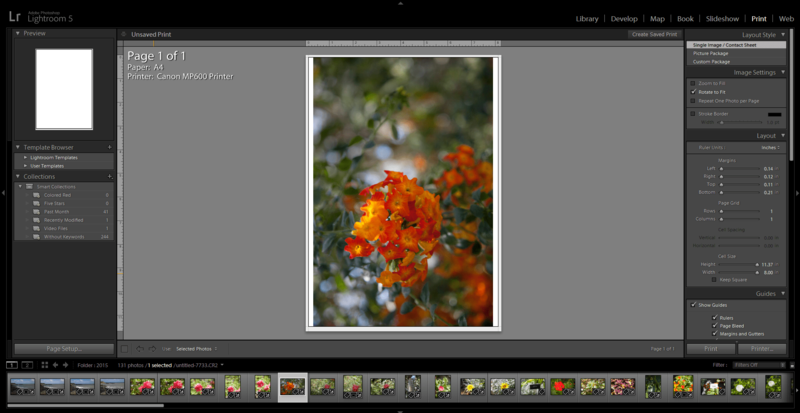 Lightroom Develop module allows making detailed adjustments to your images. Such as colour correction, crop, straighten, red eye removal as well as a wide range of other adjustments. Develop module also allows comparing your edited image to its original. Bottom toolbar of this module is customizable and offers the following controls: Flagging, Rating, Colour Label, Navigate, Slideshow, and Zoom. The left navigation panel group in Develop module consists of the following panels: Presets, Snapshots, History, and Collections. The right panel packs quite a lot of editing tools. Below the Histogram panel you will find: Crop Overlay, Remove Spots, Remove Red Eye, Graduated Filter, and Adjustment Brush tool buttons. For detailed tweaking and adjustments there are Basic, Tone Curve, Adjustments (HSL / Colour / B&W), Split Toning, Detail, Lens Corrections, Effects, and Camera Calibration panels. Each of these Lightroom panels offers a wide variety of development settings, which we will take a deeper look at in our upcoming articles. 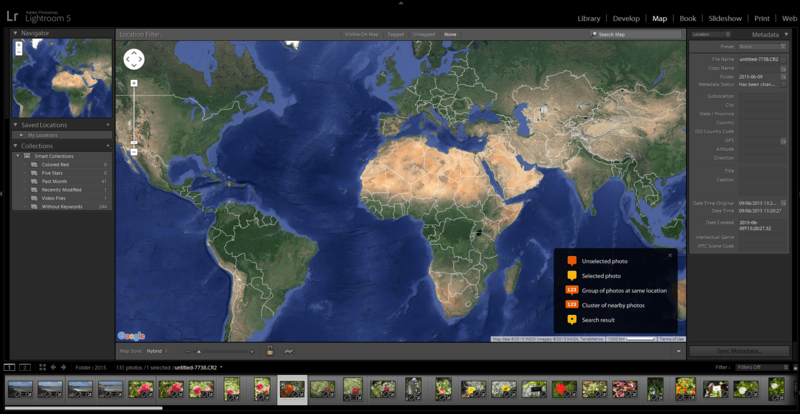 As the name suggests the Map module in Lightroom allows assigning geotags to your images. Photographs that already have GPS tagging will automatically appear on the map. The ones that are not tagged you can just drag from the Filmstrip to the map and the geolocation will be assigned to those. 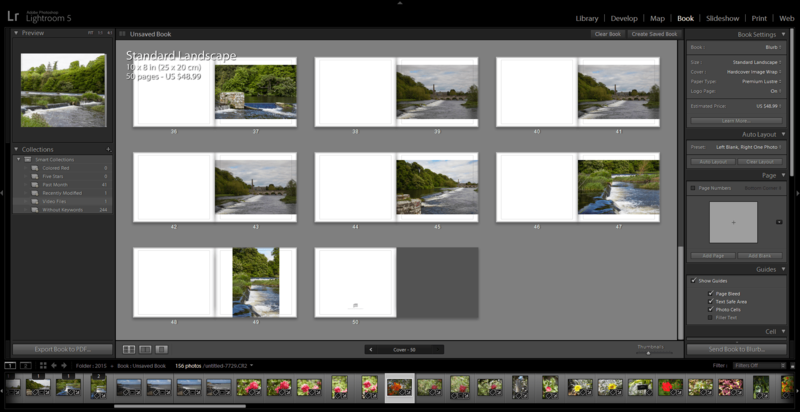 The Book module allows creating photo books within Lightroom. These books can be then saved as .PDF files or uploaded directly to online printing services such as Blurb. In this module you can create photo presentations using your image collections. The images will be displayed in the Filmstrip on the bottom of the screen, where you can choose them from, or change the appearance order. Two panel groups contain the following panels: Preview, Template Browser, and Collections in the left group and Options, Layout, Overlays, Backdrop, Titles, and Playback in the right group. In Slightshow module you can choose a background, layout and then save these customized settings as a custom template. The Print module contains a variety of tools and pre-set templates you may need to prepare your selection of images for printing. In this module on the left hand side you have the Preview panel, the Template Browser, and the Collections panel. In the right panel group this module contains the Layout Style, Image Settings, Layout, Guides, Page and Print Job panels. In the Web module you can create a website with a gallery of your images that can be then uploaded to a live domain on the Internet. The left group of panes in this module has Preview, Template Browser and Collections panels. The left panel group offers Layout Style, Site Info, Color Palette, Appearance, Image Info, Output Settings and Upload Settings panels. For creating a website in this module you can use a range of pre-set HTML and Flash templates to speed up the process. Finished product can be then uploaded to a live domain using FTP protocol. 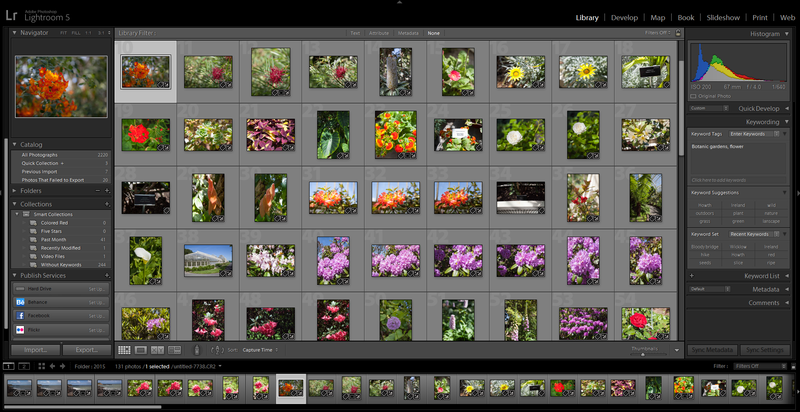 These are Lightroom modules at a glance. In our upcoming articles we will take a closer look at each Lightroom modue separately, explaining what tools and settings it offers and how to use them in practice.